Halloween is a funny time of year. As we get older and the years roll by, this night stays mostly the same. From an innocent child looking for an excuse to dress up crazily and wander from house to house seeking sweets, to a not-so-innocent adult looking for an excuse to dress up crazily and wander from bar to bar seeking a cold pint or a smooth cocktail; ah yes, it’s a magical time. The fact of the matter is that Halloween is a fun night and a fascinating phenomenon. Here at SANDEMANs we believe we’ve found the secret to a perfect Halloween night, all the while showing you how it can be celebrated in different cities, with just one thing in common: partying! Okay, it’s a pretty important thing when it comes to Halloween, but we believe in doing it right! So, what do our Halloween Pub Crawls have to offer? Join your Pub Crawl leaders at the meeting point (each one can be found using the links below), and kick off the night with goodies and treats as you arrive. With prizes to be won for the best dressed guests in Dublin, Edinburgh, Hamburg, Lisbon and London, we hope you don your creepiest costume! Not got one handy? No problem! We’ll be providing face paints or masks at the meeting point and helping guests look their scariest. Now that you’ve got your costume sorted, let’s get to the ‘Pub Crawl’ part of the evening. Free drinks are an integral part of the SANDEMANs Pub Crawl experience, and at Halloween, you can get a whole different array! Whether they’re ‘blood’ shots in Berlin, 1€ beers in Brussels, or ‘power hour’ drinking contests in Lisbon, there’ll be plenty of drinks to go around. So you can just worry about staying in costume and remembering which witch you started the night with. SANDEMANs knows better than anyone else that no two cities are the same, so why celebrate Halloween the same way in every one of them? Barcelona takes the prize for quirkiest party plan with their Halloween Tapas Experience! Enjoy traditional Spanish tapas before attending a traditional Halloween party, all the while dressed in your creepy costumes. If you haven’t seen a ghost enjoying some chorizo criollo, then you simply haven’t lived life to the fullest. Though you can rest assured; there are also vegetarian options for all of you herbivorous zombies out there. Whilst we firmly believe in celebrating the cities’ differences, there is one concept so universal that it simply must be celebrated worldwide: parties! 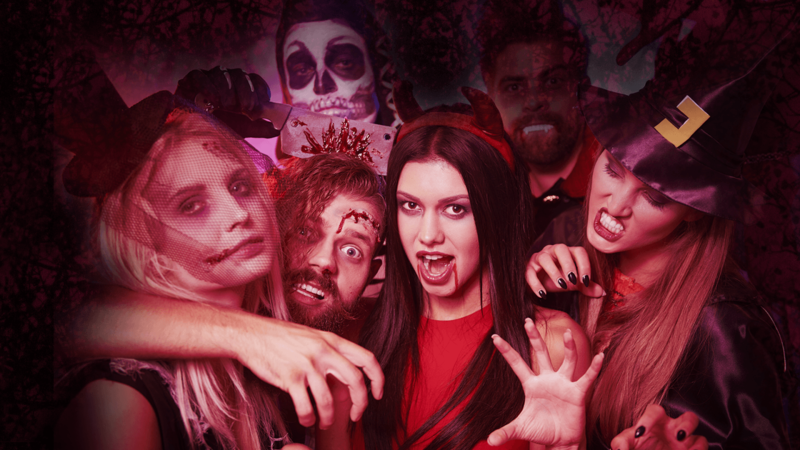 That’s right, every Halloween Pub Crawl experience must include a fantastic party, and with VIP access to parties in Berlin and Lisbon, you will feel like the beast of the ball! The best Pub Crawl leaders! Our Pub Crawl Leaders will be with you every step of the way, to join in the fun and help you with whatever you need. If you wish to vanish into the night early on, or stay up to watch the vampires melt, just let them know and they will make sure you get home safely. As history has taught us, many mistakes have been made on Halloween; terrible, haunting mistakes… But the worst one you could possibly make this year would be to miss the SANDEMANs Halloween Pub Crawl, where your night is guaranteed to be a treat! For more information on the Halloween Pub Crawl for your chosen city, simply click on the following links: Barcelona, Berlin, Brussels, Copenhagen, Dublin, Edinburgh, Hamburg, Lisbon, London & Paris. For those of you interested in the spooky history of Edinburgh or Paris, join our special Halloween Dark Side Tours! 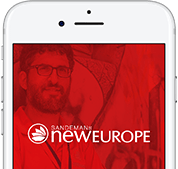 Disclaimer: SANDEMANs NEW Europe Tours supports the responsible enjoyment of alcoholic beverages. When it is misused, alcohol can be dangerous. We want everyone to have an unforgettable night, but for your safety the bars visited on Pub Crawls will cut you off if you’ve reached your limit. The mission is to show you nightlife, not to get you drunk.